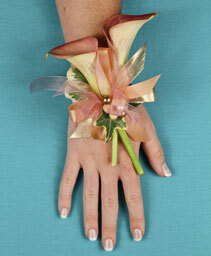 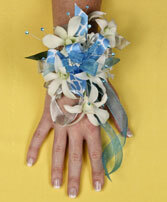 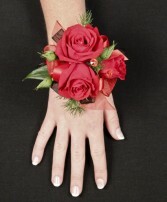 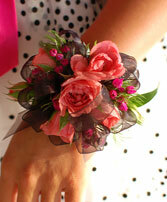 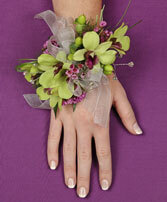 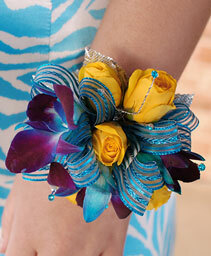 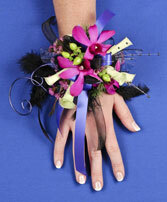 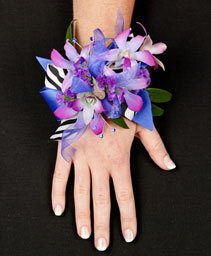 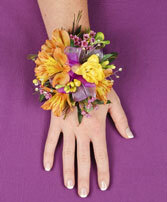 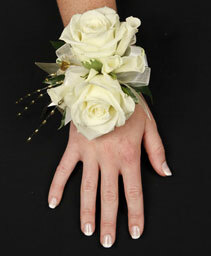 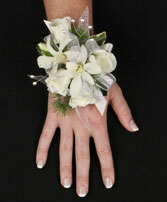 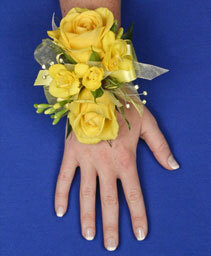 Please call us at 608-588-9999, or stop by, to order corsages and boutonnieres. 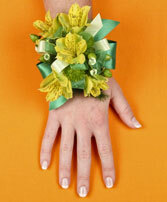 We like to discuss the types of flowers, ribbon, dress color, tie color, etc., in person, ahead of time, so we can coordinate it all! 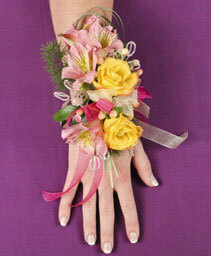 Prices vary based on flowers used and embellishment. 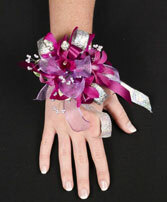 Glitzy pink and gold prom corsage is highlighted by a beautiful light pink daisy and accented with shimmery gold ribbon. Please call us at 608-588-9999, or stop by, to order corsages and boutonnieres. 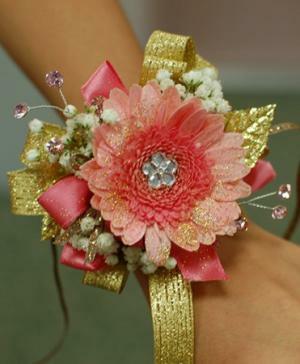 We like to discuss the types of flowers, ribbon, dress color, tie color, etc., in person, ahead of time, so we can coordinate it all! 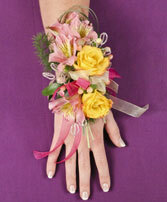 Prices vary based on flowers used and embellishment.